Tuesday 11 December- Wednesday 12 December there will be some minor works taking place to repair various portholes around Canterbury campus. The re-marking of hatched areas and parking bays at various locations around campus will also take place at the same time. This work will require Campus Security to close some parking bays in these car parks. Footpaths will be open and the roads will not be closed while this work is carried out, although there will be some barriers in places. Disruption whilst this work is being carried out will be kept to an absolute minimum. We apologise for any inconvenience this may cause and if there are any queries please contact Estates Customer Services on extension 16666. 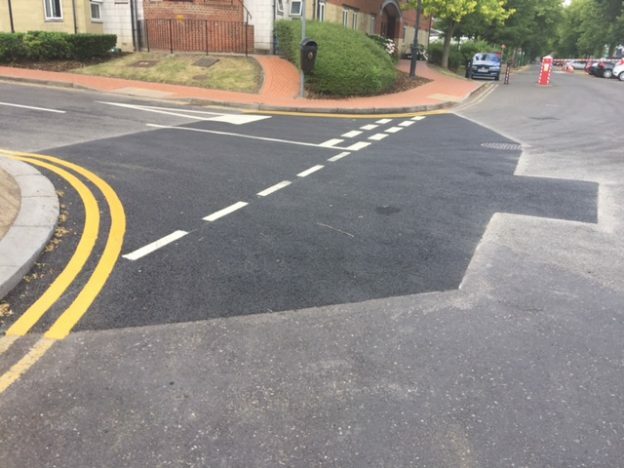 This entry was posted in News and tagged car park update, car parks, pot hole repairs on December 5, 2018 by Miriam Sandiford.